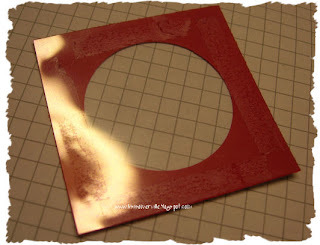 I saw a post on SCS for using the Round Tab Punch to make a circle in your card stock and I thought it would be great for making Circle Shaker Cards. 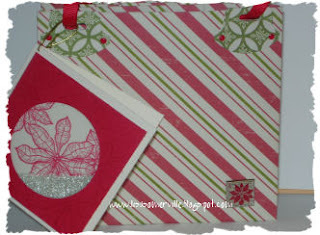 Directions for the Double Pouch Bag can be found here. 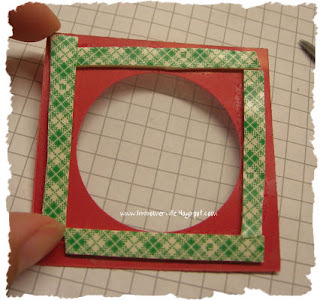 Card Stock - 3" x 3"
Acetate 2 3/4" x 2 3/4"
Stamped Image - cut to 2 3/4" x 2 3/4"
6" x 3" piece of card stock - folded to 3" x 3"
Rotate your card stock and punch again with the Round Tab Punch. 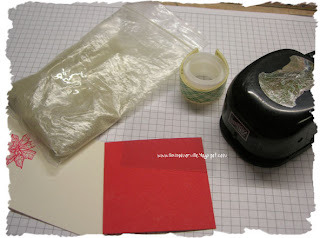 Trim your card stock to 2 3/4" x 2 3/4"
Adhere your acetate to your card stock with snail, and swipe with the embossing buddy, so your beads don't stick. Place your foam tape around your opening, being sure that the ends meet. 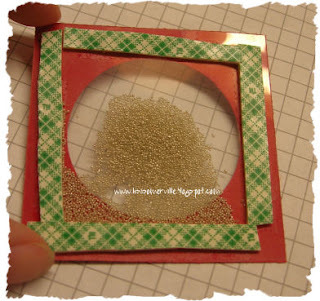 Place a small amount of beads on the acetate. 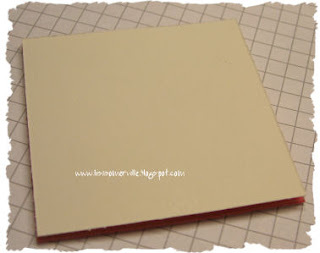 Gently remove the backing from the tape, being careful not to let any beads get on the adhesive. 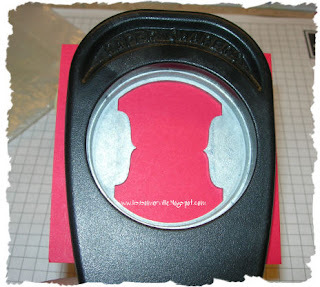 Run your card stock through your xyron. Punch with the double circle punch. Remove paper backing and adhere where you'd like you faux brads to be. Place Crystal Effects or Ranger Glossy Accents over the faux brads, let dry. OH MY GOSH, this is freakin' cute. Your tutorial is excellent, I can do this!!! They will come in very handy so I'm crank out a batch!!! These cards are so cute! 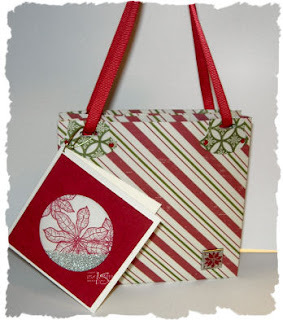 I'm glad you liked the Double Pocket bag tutorial. Your bag is awesome. 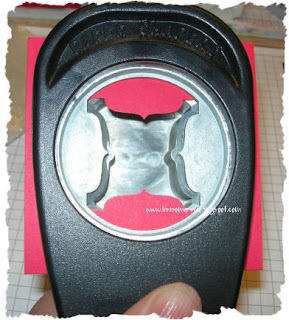 I wish I'd have thought to add decoration with the round tab punch. Great idea. I love the Shaker card tutorial. I will have to try this out as well. 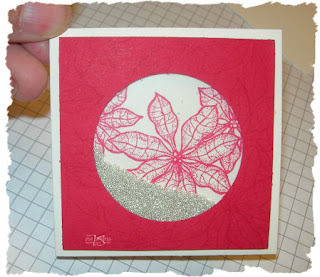 What a pretty card and a great tutorial. Thanks!